One of the most significant moments for many young teens today is the passing of the infamous driving test. For some, it’s a cake walk, for others, more nerve-racking than a final exam. Remember Your Seatbelt. You might find this silly, but it’s easy to forget doing up your seatbelt when you’re nervous. Take Your Time. This point is crucial, especially during the parallel parking portion of the test. 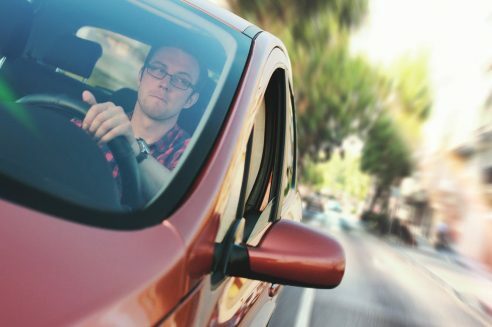 Nerves cause many young drivers to rush, often resulting in panic and or failure. Not only will staying calm and taking your time increase your chances of doing it right—it’ll show the instructor how cool and unfazed you are in the face of a challenge. Leave Your Phone at Home. Your phone should be left at home during the test. Beeps from a text message or an incoming phone call are unprofessional and can distract you. Be Confident. You have been practicing for months. Don’t let an examiner with a clipboard and a pen scare you. Trust yourself and your confidence will shine through. Be Smart Booking Your Test. Try not to book your test during rush hour, or during a massive local sporting event. If you operate best at a certain time of day, take this into account when booking a time for your test. Talk Too Much. It is important to build a friendly rapport with your examiner, but don’t go overboard. Talking throughout the test will distract you and make it difficult for the examiner to give you proper directions. Turn on the Radio. This is a big no-no. Music is distracting, and the examiner may take it as a sign that you are not taking the test seriously. Get Emotional. The way other people behave behind the wheel is out of your control. If someone cuts you off or yells at you during the test, keep your cool and try not to get agitated. Show Off. At home, your parents might let you drive the family car all the time. The examiner doesn’t need to know this. Don’t try to impress them by any quick or funky maneuvers on the road—you risk losing the test and putting yourself in danger. Don’t Stay up Late the Night Before. You should be in prime mental state for your driving test. This means no parties or tomfoolery the night before. Be sure to eat and eat well the morning of the test. To keep the jitters at bay, switch out coffee for tea. The most important thing to remember: stay safe and have fun. Your driving test examiner is human too, and understands how stressful the first test can be. If you are interested in taking driving courses, sign up today with Ambitious Drivers.